Tamoxifen citrate is a potent nonsteroidal anti-estrogen. It is indicated for use in estrogen dependent tumors, i.e. breast cancer. 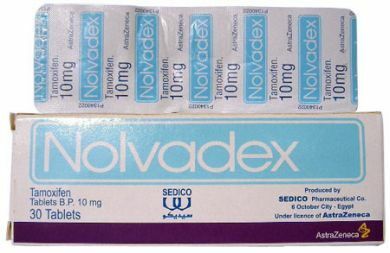 Steroid users take Nolvadex to prevent the effects of estrogen in the body. This estrogen is most often the result of aromatizing steroids. Nolvadex can aid in preventing edema, gynecomastia, and female pattern fat distribution, all of which might occur when a man's estrogen levels are too high. Also, these effects can occur when androgen levels are too low, making estrogen the predominant hormone. This can occur when endogenous androgens have been suppressed by the prolonged use of exogenous steroids. Nolvadex works by competitively binding to target estrogen sites like those at the breast.